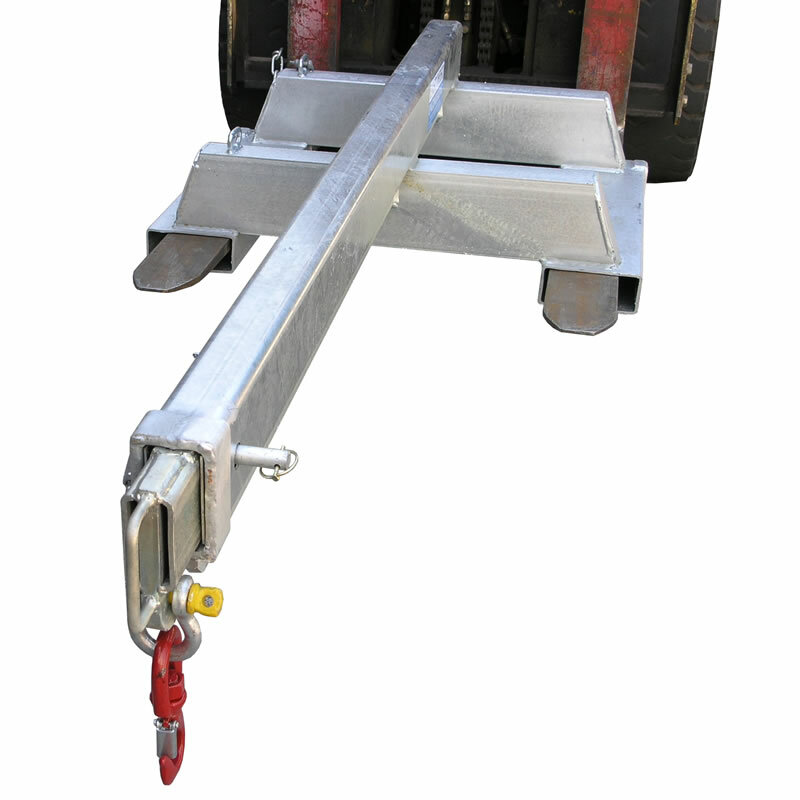 The type SFJL2.5 Fixed Jib (Long) is designed as an affordable general purpose forklift jib with a 3.5 metre reach when fully extended allowing for long reach lifts. This forklift Jib has been fitted with wide pockets suitable for Forklifts with special hydraulic Tine positioners. Simply slide onto the Fork Tines and secure with safety chain.